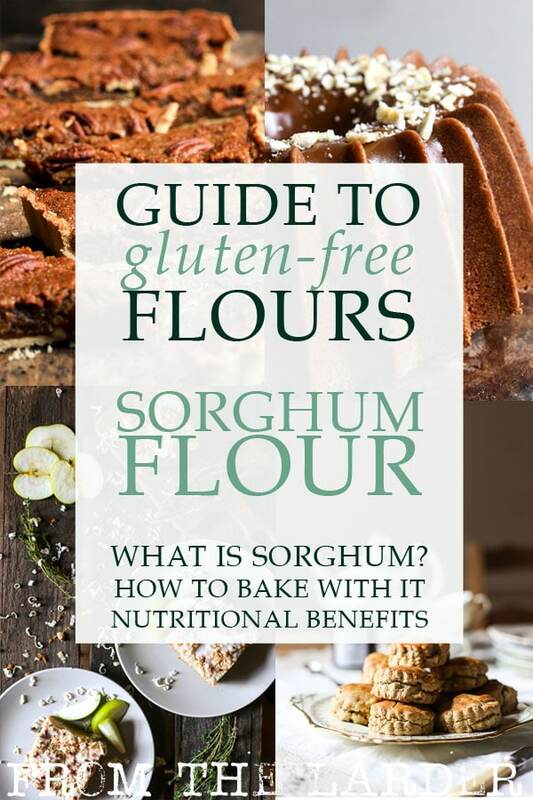 Sorghum flour is a popular alternative flour which is naturally gluten-free and works well in many sweet and savoury recipes. 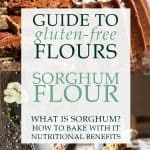 As part of my on going series on Gluten-Free Flours we will be discovering what sorghum is, how sorghum flour is made, its nutritional benefits, the best way to use it in our baking and where to purchase it. Sorghum is an ancient cereal grain common throughout Australasia and Africa. Its roots can be traced back 5000 years and is the fifth most important cereal crop in the world. Sorghum can be used to make a breakfast porridge, to thicken stews or in the production of alchoholic drinks. The use of sweet sorghum syrup was a common ingredient in the southern states of America but its use has been swapped out in more recent recipes for the more economical, but less flavourful, corn syrup. Sorghum flour is also the key ingredient in the Indian flatbread, jowar roti. Sorghum flour is finely ground from the whole grain kernel of Sorghum. It is light or beige in colour with a mild sweet flavour. Like most gluten-free flours it cannot be used solely as a wheat flour substitute but it is commonly used in several branded gluten-free flour blends such as Bob’s Red Mill Gluten Free 1-To-1 Baking Flour due to non-assertive flavour and soft texture. Sorghum flour is high in fibre and a good source of anti-oxidants which helps fight inflammation and heart disease. It is a low gi food so slow to digest and helps to balance out blood sugars. 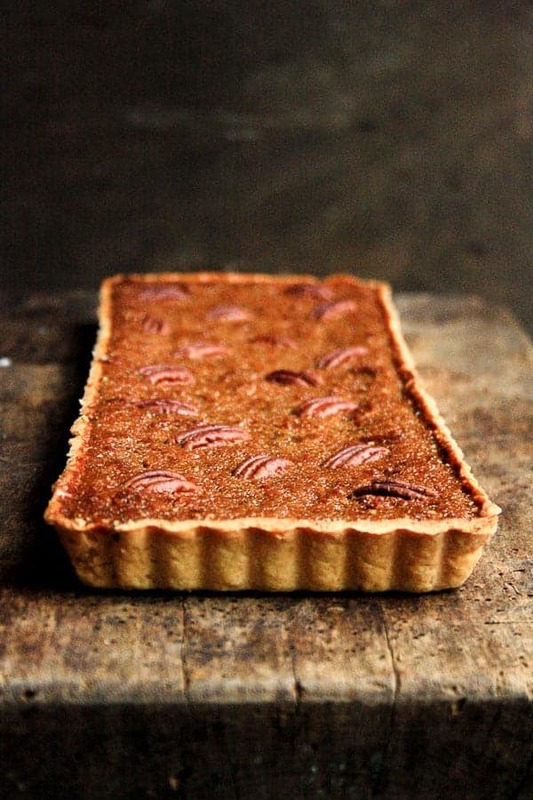 Sorghum flour is also high in protein so promotes a soft tender crumb in bakes. 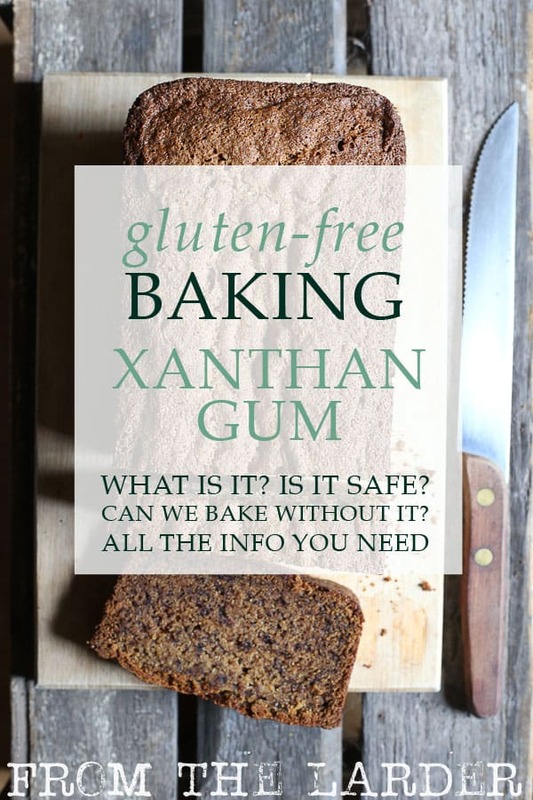 How Do You Use Sorghum Flour in Baking? As sorghum flour is a whole grain flour, for most recipes it cannot be used as a direct replacement for wheat flour. 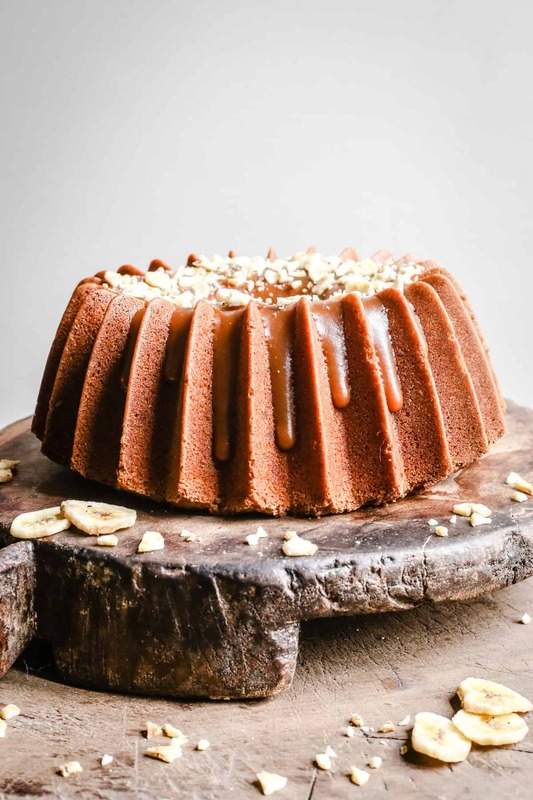 Whole grain flours are lovely to use in baked goods as they provide taste and texture but they are lacking in the necessary stickiness to keep a cake together. You need a binder to stop the bake from being dry and crumbly which is where starch flours come in. You can use a starch like sweet rice flour, tapioca flour or arrowroot to mimic the gluten properties of wheat flour. Sorghum Flour is especially versatile because it can be used in both sweet and savoury recipes. It works excellently in breads or in pastry like in the recipe for these Gluten-Free Mince Pies. What Flavours Pair Well with Sorghum Flour? Think of sorghum flour as a slightly sweeter version of whole wheat flour and you’ll be heading in the right direction as far as flavour profiles go. It pairs well with warm spices, bananas, berries, stone fruits, nuts, butter, caramel, dates cheese or honey. 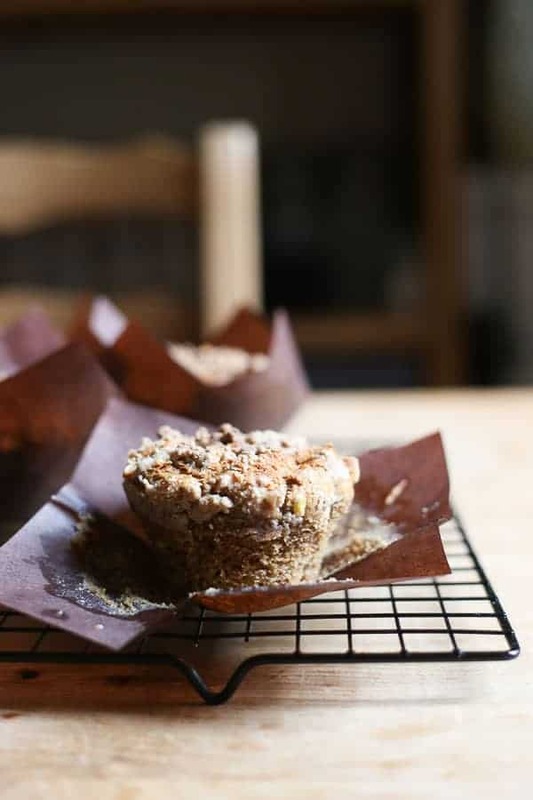 Or these vegan Banana Peanut Butter Streusel Muffins. Sorghum flour is gaining in recognition due to its impressive nutritional benefits and because of the rise in popularity of the gluten-free diet. You can purchase sorghum flour at health food shops and some well-stocked supermarkets. 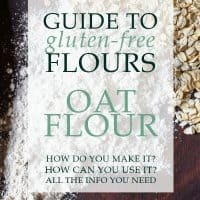 I will either buy my sorghum flour from my local organic shop, Ocado or I use the subscribe and save option on Amazon which is the most economical way of purchasing it.